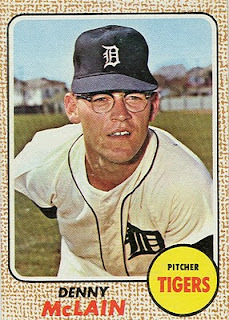 After the 1969 season, the bottom fell out for McLain, as he had off-field problems (including a suspension for gambling). 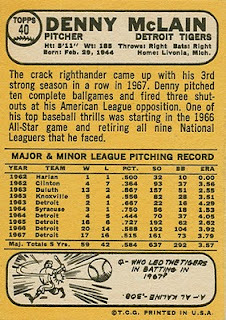 Before the 1971 season he was traded to the Washington Senators, where he proceeded to lose 22 games. After that season, it was on to Oakland and then Atlanta. The Braves released him prior to the 1973 season, but he played in the minor leagues in 1973 before retiring. During his playing career, McLain was a popular nightclub organ player.